Striker Abass Mohammed has written to former club Asante Kotoko expressing gratitude following his stay with the Reds in the last two years. The Porcupine Warriors terminated the contract of the ex-Medeama striker on Thursday after being deemed surplus to requirement at the club. 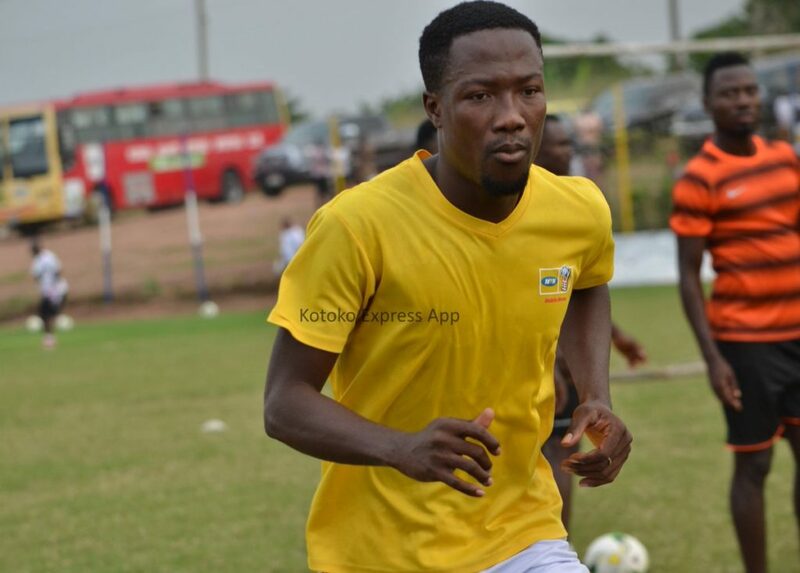 Mohammed joined Kotoko in 2017 from Medeama but failed to make a mark at the club. He won the FA Cup with the Kumasi based outfit in 2017. In a heartfelt letter to the club, Mohammed thanked Asante Kotoko and wish the club success in their future endeavours. It has been a fulfilling childhood dream to join one of the biggest family in Ghana and Africa at large.The joy that encompassed me during my first day at the training grounds was indescribable. I nearly cried because I never thought of this ,though I've believed in myself throughout this journey of life. It looked promising at the beginning when I joined the club from Medeama SC, after some staggering performance in our Africa campaign but unfortunately, persistent injuries halted my hopes and aspirations to write my name in the history books of this club. Yesterday, I officially terminated my contract with Kotoko to look elsewhere build myself again. And through this medium , I would want to first and foremost express my sincerest thank you to the teaming supporters of Asante Kotoko Sc for being phenomenal throughout my stay with the club.We sometimes disappointed them but they never let us faced the numerous challenges alone . My next appreciation goes to various Management members I worked under them ,you all displayed greatest of love to me during my worst moments. Words alone are not enough to describe the club's highly energetic and professional medical team who saw the importance to give me the necessary attention to get myself back to fitness. You've been the best medical practitioners I've ever met in my career as a footballer. Finally to Dr. Kwame Kyei, Papa, I always pray for you that Allah will replenish and replete all that you did for me. You don't talk much but you know how to handle our issues . I thank God for serving under you . Time and seasons are ultimately decided by Allah and if it is His wish for me to re-join the club, I am optimistic that it will happen. By this message, I deeply thank everybody who in diverse ways made life comfortable for me in Kumasi. Allah bless all those who have believed and supported me from day one. I step forward to welcome a new challenge to make you excited again. From; Abass Mohammed, former Asante Kotoko striker.